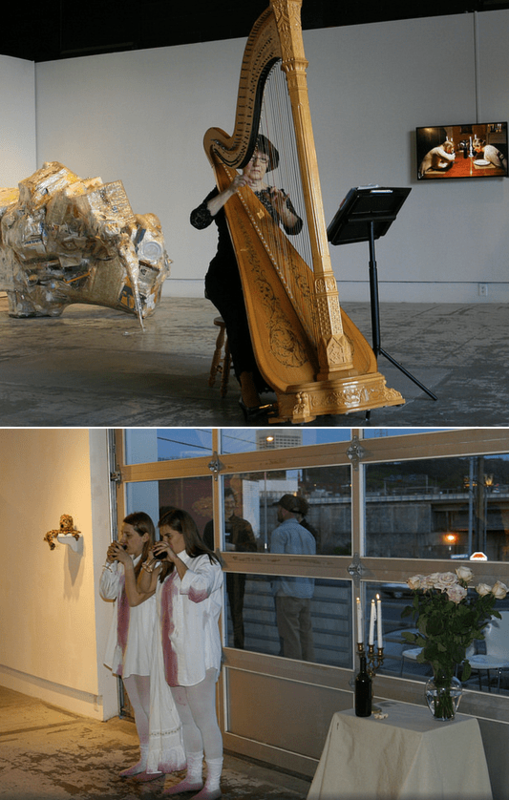 Opening Night Performances by harpist Pamela Block (top) & artist Hope Esser (bottom). View More. 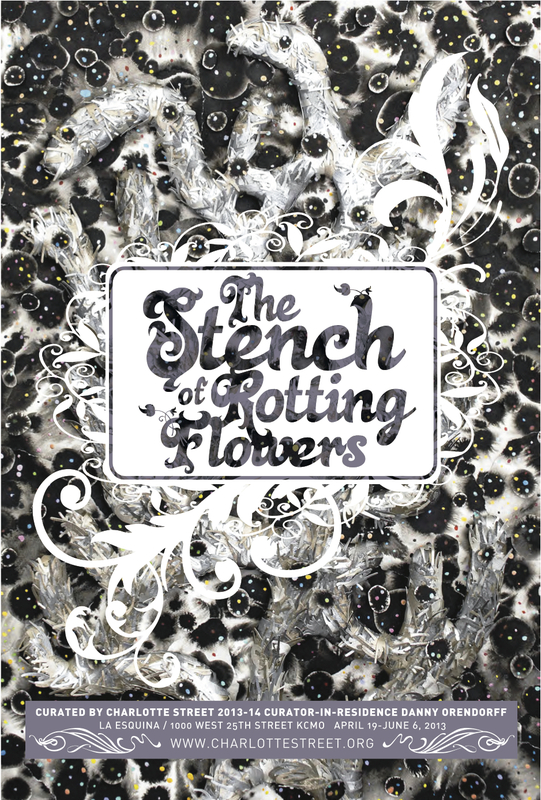 Organized by 2013-14 Charlotte Street Foundation curator-in-residence Danny Orendorff, The Stench of Rotting Flowers is equal parts artifice and ache, as sincere as it is satiric. Download Full PR as PDF.